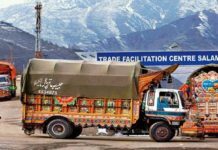 New Delhi: India on Wednesday declined Pakistan’s invitation for SAARC summit hours before the foundation-laying ceremony of Kartarpur Corridor in Pakistan by PM Imran Khan. Citing terror activities that Pakistan continues to wreak inside Indian boundaries, External Affairs Minister Sushma Swaraj said that India is not responding to Pakistan’s invitation ‘positively’. She said there will be no dialogue unless Pakistan stops terror activities in India. She said the opening of Kartarpur Corridor does not mean a dialogue between India and Pakistan will start as “terror and talks cannot go together. The foundation stone of the Kartarpur Corridor will be laid on the other side of the border by Prime Minister Imran Khan today. It will connect Gurdwara Darbar Sahib in Kartarpur and Dera Baba Nanak shrine in India’s Gurdaspur district. While on the other side, the foundation stone was laid on November 26 by Vice President Venkaiah Naidu. 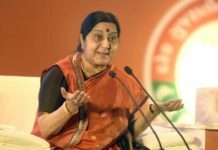 Swaraj also took the occasion to give a strong response to invitation to Prime Minister Narendra Modi to attend the 20th South Asian Association for Regional Cooperation summit. Pakistan Foreign Office (FO) had announced on Tuesday that Prime Minister Narendra Modi will be invited for the 20th summit which is to be held in Islamabad. The dates of the summit are yet to be finalised. 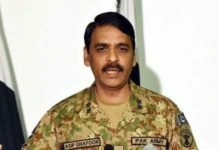 ‘Prime Minister Modi will be invited to Pakistan for the SAARC summit’, Pakistan Foreign Office Spokesman Mohammad Faisal was quoted as saying by Dawn newspaper. Addressing a conference in Islamabad Tuesday, Faisal recalled that Prime Minister Imran Khan in his victory speech had said that if India took one step forward, Pakistan would take two. It is worth noting that India boycotted the 19th SAARC Summit which was scheduled to take place in November 2016 in Islamabad, following the September 18 terror attack on the military base in Uri in Jammu and Kashmir. The summit was finally cancelled as several countries, including Bangladesh, Bhutan and Afghanistan, also walked out following India’s decision to exit the summit to step up diplomatic pressure on Pakistan.